There are a number of hill stations in Kerala. 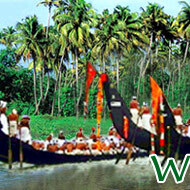 Read about some important hill stations of Kerala. 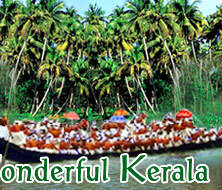 Kerala is one of the most beautiful states in India. "God's Own Country", as it is lovingly called, and rightly so, as the beautiful beaches and gushing backwaters may come to one's mind when the name 'Kerala' comes up, but this isn't all Kerala's got. 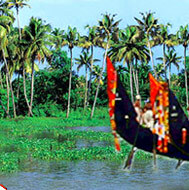 The presence of numerous hills and hillocks add to the natural splendor and beauty of Kerala. The Western Ghats (mountain range) that run along the length of Kerala, from north to south, have a lot to offer in terms of both, panoramic tourist spots, and business and trade destinations as these hill stations are a source of some of the finest spices of Kerala. These hill stations, with an average height of around 1500 km above the sea level and with tropical forests of the locales comprising of rich flora and fauna, are a treat to the eyes away from the chaos of the cities. Munnar is located in the hill ranges of Kerala, where three mountains, Mudrapuzha, Nallathanni, and Kundala merge together. Some of the highest tea estates in Kerala are located in and around Munnar. There are tea estates, spice plantations, and greenery on the hills surrounding this scenic town. Munnar is a paradise for nature lovers and ideal for nature walks, trekking, and bird watching. Major attractions include Eravikulam National Park, Anamudi Peak, Mattupetty, Pallivasal, Chinnakanal, Top Station, and Tea Museum. Ponmudi, which means 'Golden Crown' in Malayalam, is a famous hill station in the Western Ghats of Kerala. Located around 65 km from Thiruvananthapuram, the capital city of Kerala, this hillock offers a picturesque getaway to Kerala. Ponmudi is an ideal hill station as it boasts of green hills, winding roads, beautiful cottages, spice plantations, and tea estates to captivate the visitors. Rajamala is yet another beautiful hill town of Kerala. It is located 15 km from Munnar and is known for sightings of the rare Nilgiri Tahr, an antelope-like animal, which is also related to mountain goats and can be seen venturing around the hills. This region is now home to half of the Tahr population of the world. Thrissanku and Peeru Hills are located 4 km from Peermede and are named after the famous Sufi saint Peer Mohammad, who spent his last days here. These hills are known for their gentle slope, which are ideal for nature treks and walks along the winding hill tracks and roads. Ramakalmedu is also a famous hill station of Kerala, located 16 km from Nedumkandam on the Thekkady-Munnar Road. 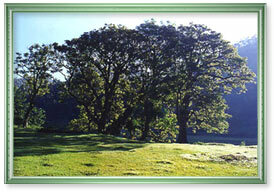 Ramakalmedu offers natural and beautiful surroundings and fresh air. This hill station has got its name from the feet impressions found on the rock surfaces which are believed to be of Lord Rama. It is also one of the windiest places of Asia and this fact is used to great advantage by setting up a wind farm that generates electricity. Other popular hill stations of Kerala are Wayanad, known for its spice and tea plantations; Nelliyampathy, oozing out tropical forests and lush greens; Devikulam, the legend of which has it that Sita bathed here in the lake that is now known to be "the lake of the goddess"; and Wagamon, which hosts a beautiful combination of gentle hills, valleys, waterfalls, and green slopes.